Ancestry reminded people that they have been working with RootsMagic, a leading desktop genealogy application, to allow Ancestry subscribers to connect their Ancestry accounts to the RootsMagic software. Now, Ancestry has developed a new technology that will allow people to integrate Ancestry Hints and Ancestry’s record and online trees with RootsMagic products. 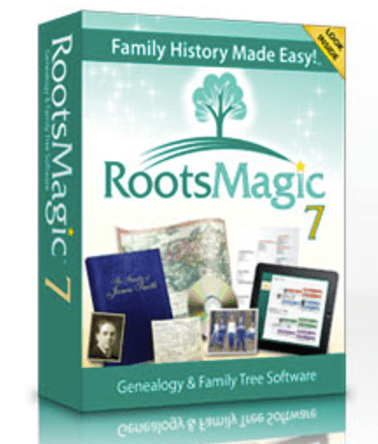 RootsMagic has launched a free update to RootsMagic 7 with TreeShare for Ancestry. As an existing Ancestry subscriber, you have access to your Ancestry Hints and the ability to synchronize data with your Ancestry online trees from inside RootsMagic 7. Ancestry subscribers can synchronize data between their RootsMagic files on their computers and their personal Ancestry online trees. It is now possible to transfer people, events, notes, source citations, and even pictures between the two systems. RootsMagic users gain the ability to share and collaborate with others by giving family members access to their Ancestry online tree. Family members can use the new TreeShare feature to synchronize the latest changes and additions to both the online tree and their desktop computers. In addition, RootsMagic leverages the AncestryHints capability. When possible matches are found, users can conveniently review them from within the software. RootsMagic will let users add new information and media from matching records into their files. RootsMagic is offering “RootsMagic Essentials” to people who are getting started with genealogy. It is a free version of their RootsMagic software, with a limited set of features that are tailored towards beginners. “RootsMagic Essentials” will allow people who have an account on Ancestry to upload their file to Ancestry or download their existing online trees from Ancestry. People who want to compare and transfer individual records between RootsMagic and Ancestry will want the full-featured RootsMagic software. For a limited time, RootsMagic has a special offer for Ancestry’s subscribers. They can receive the full version of RootsMagic software with a free ebook for only $20.00. (It is regularly $44.90). This offer is only available to Ancestry subscribers, and will last through July 31, 2017. Not long ago, Ancestry announced that they were co-developing software with Software MacKiev. There was no mention of it in the Ancestry announcement about RootsMagic. Genealogists who have questions about either software may want to contact Ancestry.com for further details.